Vitamin D is considered by many healthcare professionals to be just about the most important and beneficial of all the vitamins. To maintain optimum health we need a good balance of all the major minerals and vitamins, most of which we can get form our food if we eat a healthy, nutritious diet. Although Vitamin D is available from food sources such as oily fish and eggs (vitamin D2) it is best administered in its synthesised form, sunlight (D3) – bad news if you live in norther europe, particularly the UK. This is review is for a premier brand of D3 supplement Vitamin D Max. If you are serious about your vitamin D intake then the quality of the supplement is paramount. In Vitamin D Max we could just have reached the pinnacle. 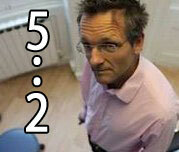 Negatives: Its reasonably expensive at £25 a month but what price do you put on your health? Vitamin D-Max is a super-strength vitamin D supplement that contains no additives, binders, or fillers. It is suitable for vegetarians, is kosher, and is also halal. Vitamin D is essential for healthy muscle function, a healthy immune system, calcium absorption, strong bones, hormone regulation, nervous system function, inflammation reduction, and other functions of the human body. Vitamin D is usually acquired naturally from sun exposure, though fewer and fewer people are spending enough time in the sunlight to absorb as much as they need. Vitamin supplements are actually a very helpful and positive way to combat this problem, though choosing the proper supplement is definitely not always easy… hence D-Max. 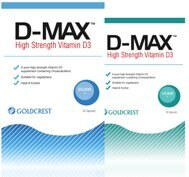 D-Max offers all of the pure Vitamin D that your body needs through a hassle-free supplement, thereby eliminating the danger of a Vitamin D deficiency, which can cause a variety of different health problems. Vitamin D3 is incredibly important for a number of reasons. For one, it is crucial to the body’s ability to absorb and metabolize both phosphorous and calcium, both of which are necessary for various functions within the body, including the maintenance of healthy bone structures. Vitamin D3 is also an immune system regulator. In fact, scientists say that arming the immune system with Vitamin D3 is essential to protecting against disorders like the common cold. It can also help to reduce the risk of conditions such as multiple sclerosis, and can help to keep the brain working well in the later years of life. Vitamin D can also help to make it easier to maintain a healthy body weight, and can reduce the severity of conditions such as asthma. It can even help to prevent rheumatoid arthritis in women! Vitamin D3 Deficiencies – What Are The Dangers? Vitamin D deficiencies can cause a number of different health problems. 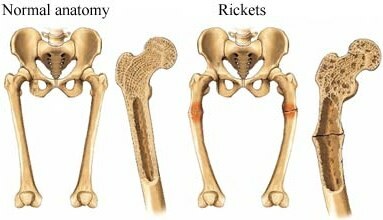 Since it is required for healthy bone structure, a deficiency of the vitamin could result in bone deformities or low bone density. A vitamin D deficiency could also lead to low blood calcium levels, conditions such as rickets, low blood phosphate levels, increased risk for falls and fractures, and even elevated parathyroid hormones. Of course, everyone needs vitamin D3… though there are definitely some people who tend to need it more than others. Doctors actually recommend higher doses of the vitamin to women who are pregnant or breast-feeding, mostly because it is so crucial that they received the appropriate levels for their developing babies. Adults over the age of 60 are also on the list of people who generally need more Vitamin D3 than what is normally acquired from sunlight and diet alone. Growing children also need plenty of it, as it will contribute in a very positive way to their growth and development. Adults who work indoors or who spend little time in the sun may also run into Vitamin D3 deficiency issues if they do not get it in a supplement. Of course, spending too much time in the sun can be bad for the skin, which is why a supplement is a great choice for safely adding more Vitamin D3 to your diet. Vitamin D-Max supplements actually offer several advantages. For one, they are convenient and easy to take. Two, they can be taken with you on-the-go in your purse or you backpack, making them portable. Three, they can provide you with raw and essential Vitamin D3 without requiring you to spend time in the sun or to eat foods that you may otherwise not be interested in eating. And finally, Vitamin D-Max supplements are ineffective and virtually free of side-effects. Of course, overdosing on Vitamin D is possible, but you have to take a LOT for a LONG time before this is really a concern. Vitamin D-Max may be very similar to other supplements on the market, but it does offer a few unique angles that make it a very healthy choice for the acquisition of Vitamin D in one’s diet. For one, the Vitamin D offered in D-Max is pure and high strength. Two, it is fit for vegetarians and contains no fillers, additives, or binders. And third, it is technically a food supplement, so you can be sure that you won’t have to deal with dangerous drugs or other harmful additions when ingesting it. Vitamin D-Max works basically like any other type of capsule supplement. 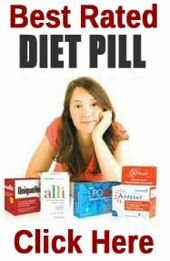 You simply buy whichever product fits your needs, and then take the capsules with a glass of water or with another type of liquid. 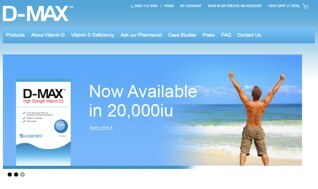 Does Vitamin D-Max Help To Fight Off Diseases? You may actually be glad to know that Vitamin D-Max can indeed help to fight off diseases, infections, and inflammation. Vitamin D3 is actually a well-known immune-system booster, meaning that the body is more prepared to fight off conditions ranging from the common cold, to asthma, to multiple sclerosis when the body has been receiving sufficient amounts of the Vitamin. Vitamin D3 is actually considered one of the healthiest vitamins in existence that you can take. It is so effective, in fact, that some say that it might one day be reclassified as a hormone! Taking D-Max will give you plenty of Vitamin D3 to boost your immune system, which can definitely lead to an increase in the body’s ability to fend off diseases of all kinds. How Do You Get Vitamin D Naturally? Naturally, Vitamin D tends to be acquired by direct exposure to sunlight and through foods. Sunlight exposure, however, needs to have a UV index of 3 or greater in order for the proper UVB wavelengths to be present. Levels that meet this requirement are seen, for example, on most days in the tropics… as well as on particularly sunny days in the spring, summer, and autumn in temperate climates. The arctic circles, however, almost never see the kind of sunlight needed for Vitamin D production. A human being requires about fifteen minutes of direct sun exposure (meeting the above requirements) on the exposed skin of the hands, arms, face, or back twice per week to get the required dose of Vitamin D.
Some types of fish such as tuna, salmon, and mackerel, are actually good natural sources of Vitamin D.
Other foods that contain this essential vitamin include fish liver oils, cheese, egg yolks, some mushrooms, and beef liver. How Much Vitamin D Do You Need In Order To Be Healthy? According to the Institute of Medicine of The National Academies, people 1 to 70 years of age should be taking 600 IU of Vitamin D per day if they are getting no sunlight exposure. Those 71 years of age and older should be taking 800 IU, while pregnant or lactating women are also instructed to make sure that they are taking at least 600 IU per day. Babies who have been weaned from breast-milk should consume 1,000 mL of vitamin-D fortified formula or whole milk every day. Doctors also say that children and adolescents who do not get adequate Vitamin D through sunlight or their diet should take 400 IUs in Vitamin D supplements per day to avoid health problems. Are You Struggling To Get Enough Vitamin D3? People who work inside, who don’t eat many Vitamin D3 rich foods, and who do not consume a lot of vitamin-D fortified foods may very well be struggling to get the essential Vitamin D3 that they need. Anyone meeting this description may want to think about taking a Vitamin D3 supplement, just to make sure that they are getting enough of it to keep their bones and immune system healthy. Is Vitamin D-Max Worth The Cost? As it turns out, Vitamin D-Max supplements truly deliver on their claims. They are natural, filled with pure Vitamin D3, and will definitely help to deliver the levels of the vitamin needed to maintain good long-term bone health and immune system function. 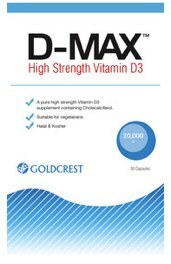 Vitamin D-Max is priced between £24.95 and £29.95 a month – and be purchased directly form their official website.